We are obsessing over this stunning bodycon dress. 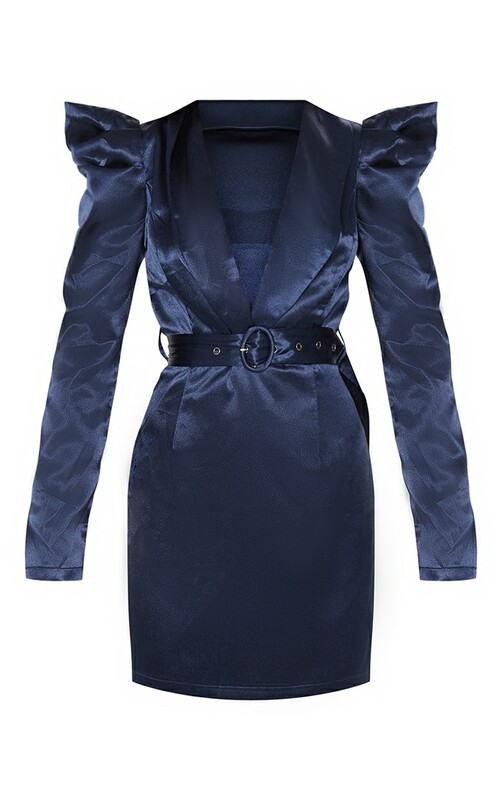 Featuring a navy satin fabric with shoulder detailing, attached belt and plunging neckline, what's not to love? Style with silver barely there heels for a look we're loving.